Is it Twitch? YouTube Gaming? Mixer? or other? Live streaming has gained popularity on the internet and it’s very likely that it’s going to be the way of the world. I mean, why wait to watch something that happened a day ago when you could have been watching it while it happened? There’s nothing as real as watching something as it happens. Gamers are the ones who have dominated the realm of live streaming but they are not the only ones; individuals and organizations have also found it beneficial to join the wagon. In this article, we’ll focus on the role live streaming has on gaming and maybe chip in a thing or two about how organizations could also benefit from it. Here we go. There’s something very interesting and captivating about watching live streams of things, especially gaming. You’ll have to be a gamer for you to understand why they are the ones who have dominated this world. But I’ll try to help you understand…no I can’t, let’s just continue. If you are not a gamer, please bear with me…the few sections about businesses may help you some. Watching a live stream of a game you love is interesting. There are moves, maneuvers, and techniques that you may miss while playing by yourself, but the most interesting thing is that watching someone else play, particularly if they are good at it, is like watching an awesome movie of the game you like. Watching other pros playing will also reveal to you some secrets you didn’t know about the game, and if the game is a particularly difficult one, you’ll get to know what to do to pass some levels, and also even learn some techniques of acquiring difficult to get items. In both YouTube Gaming and Twitch, if one is a famous streamer, one has the chance of making some serious money depending on the magnitude of one’s fan base. If you don’t know by now, the gaming industry is doing so well to the extent of competing with the film industry. PlayStation 4, Xbox 1, Virtual Reality, and Augmented Reality, and the ones that are to come have captured the attention of many, even those who thought games were just for kids and couch potatoes. New games are being developed every day and gamers can’t wait to come out victorious in yet another quest, mission, or race. As the number of gamers increases, new platforms are being invented and developed to cater to their needs. YouTube Gaming and Twitch are among the top platforms that are being used to help these animals connect with each other and do what they love to do best. Microsoft’s Mixer is yet another platform that’s gaining popularity in the Live Streaming world, mostly due to its super-fast streams. With a large fan base, streamers can make some serious money. There are gaming companies that are looking for gamers who are excellent at playing particular games and they would like to hire serious gamers to try out their games and give feedback; that’s an opportunity for money. All you need as a gamer is a game recorder, a Live Streaming Platform, take time to acquire a solid fan base, and fortune may be on its way. These streaming platforms also serve as a means for social interactions and mingling. Gamers get to meet other gamers as well as other interested parties like new clients and other agents who work for gaming companies. Furthermore, it’s not just gamers who can benefit from live streaming; businesses can also benefit by streaming important events live. If the physical facility where an important event is to take place is not spacious enough to accommodate as many people as needed, or if a business has other global branches or partners, it could benefit by streaming the event live. That way, the limitations of the physical facility where the event is to take place will not be an issue, and everyone will get to participate in the actual event, in real time. 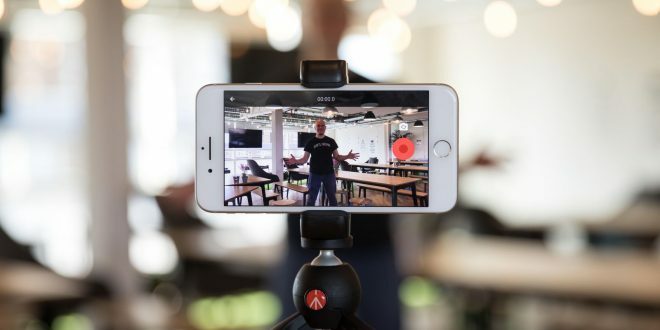 In a nutshell, you could say that live streaming provides an opportunity for businesses to reach out to and impact a larger audience. And there’s more to live streaming than meets the eye. Only the future will reveal the possibilities. I hope you are open to them.